The man’s got a doggone boot on his head! The great footballers have a way of getting all eyes on them, even when most people aren’t paying attention. 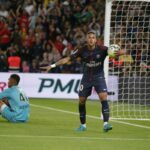 PSG’s French Coupe de la Ligue match against Amiens was one of those situations, but when Neymar scored a penalty to put PSG ahead in the 53rd minute, he produced the most attention grabbing moment of the evening when he celebrated by taking off his right boot and putting it on his head. 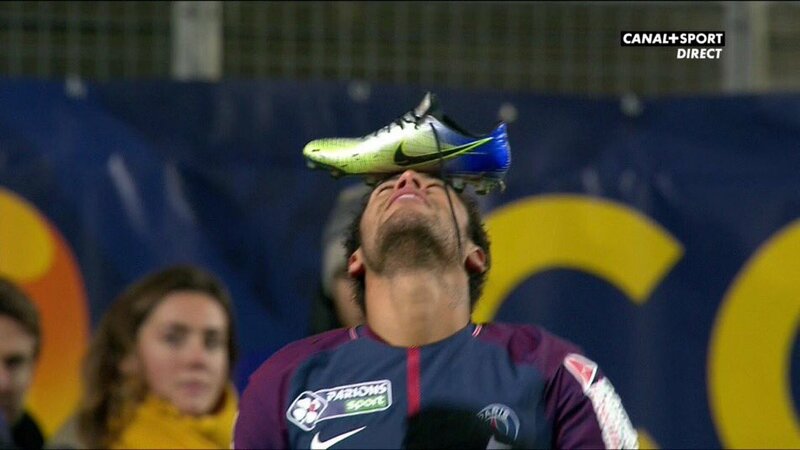 With his recently released Nike Mercurial on display in a manner never seen before, the message seemed to be “L€t’$ $€ll $ome boot$!” Neymar later indicated on Instagram that this was a tribute for his friend’s birthday (That friend’s name? Edward T. Nike…probably). Regardless of the intent, when a player like Neymar introduces an unusual new way to celebrate a goal, others take notice. 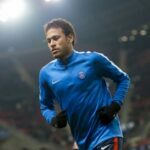 There’s a very good chance that footballers around the world will now start celebrating goals by taking off their boots and balancing them on their heads—whether of their own volition or at the urging of boot sponsors desperate to show off their constant stream of new releases in a crowded market. Meanwhile, Kerlon is now wondering how many millions he could have made if he ran up the pitch with a boot balanced on his head instead of the damn ball. Follow Brooks on Twitter @BrooksDT.